The PL-2303 operates as a bridge between one USB port and one standard RS232 Serial port. The two large on-chip buffers accommodate data flow from two different buses. The USB bulk-type data is adopted for maximum data transfer. Automatic handshake is supported at the Serial port. 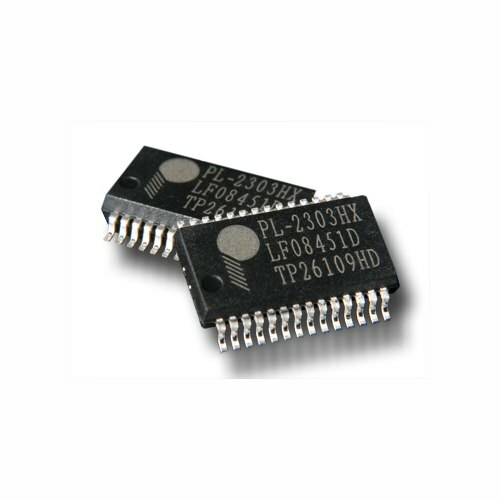 With these, a much higher baud rate can be achieved compared to the legacy UART controller. This device is also compliant with USB power management and remote wakeup scheme. Only minimum power is consumed from the host during Suspend. 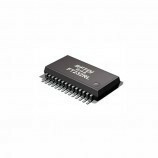 By integrating all the function in a SSOP-28 package, this chip is suitable for cable embedding. Users just simply hook the cable into PC or hub’s USB port, and then they can connect to any RS-232 devices. 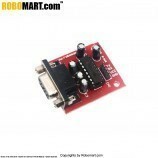 Fully compliant with USB Specification v1.1 and USB CDC v1.1. 256-bytes buffer each for upstream and downstream data flow. On-chip crystal oscillator running at 12MHz. Supports Windows 98/SE, ME, 2000, XP, Windows CE3.0, CE .NET, Linux, and Mac OS. Designed for Windows XP/2000 Certified Logo Drivers. Making a Controller based project USB compatible. 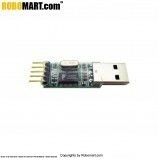 Connection of Modems to microcontrollers to PC via a USB connection. DIY projects for connecting to a COM port of a computer and various other components such as GSM module etc. 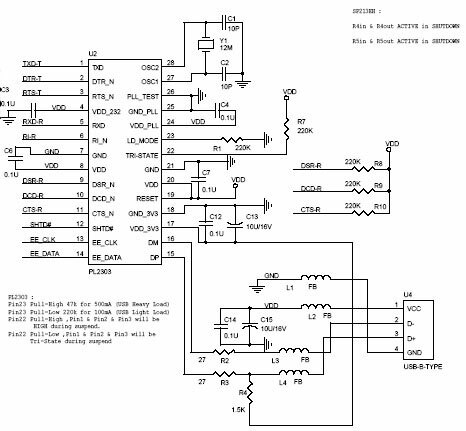 Also Searched as :pl2303 ic, pl2303 controller ic, usb to serial bridge controller ic, serial bridge controller ic, pl2303 datasheet, pl2303 usb to serial driver, pl2303 driver, pl2303 circuit, how to install pl2303 driver, pl2303 usb to serial cable.